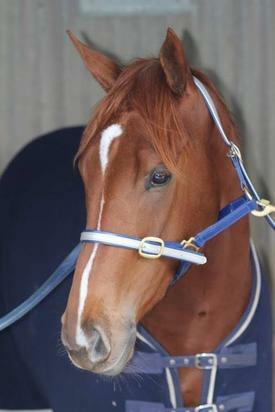 ECHOES OF HEAVEN (AUS) (Bay 2007-Stud 2012). 3 wins-1 at 2-from 1400m to 1800m, SAJC Port Adelaide Guineas, L. Half-brother to SW Redoute's Choice. Sire of 26 rnrs, 10 wnrs, inc. SW Countofmontecristo (Singapore 3YO Sprint, L), SP Impulsive Habit and of Bold Success, Star Echo, Angelic Spirit, St Andre, Rhymic Dancer, Sky Twenty One - Blazing Partners (H.K. ), The Duke of Jazz, Wainui Gold and of the placegetters Lorde Have Mercy, Advent, etc. Tavlin (g. by Tavistock). Winner at 1600m in 2017-18 in NZ. Cybele. 4 wins at 1400m, 2d CJC Christchurch Casino H., NRM Nutrition Seminars H., 3d CJC Riccartonpark.co.nz H.
Mid Sun. 3 wins at 1400m, 1600m in Malaysia. Norse Affair. Winner. See above. FOCAL POINT (Kashani). 5 wins at 1600m, NZ$108,235, Waikato RC Gasmate S., Gr.2, ARC Fitz-Gerald Auctions H., Oxford Trust H., Cambridge JC New Zealand Bloodstock Insurance H., 2d ARC One Cool Cat H., BOP RC Bob Silson & Peter Simmonds Memorial H., Waikato RC Eprinex H., 3d ARC Zabeel Classic, Gr.1, Whips 'n' Spurs H.
Swipe. 5 wins from 2100m to 2300m, NZ$75,050, Levin RC Allergy New Zealand H., WRC Zarzuela H., 2d WRC Konami H., Getfunkd Gallop H., Tsarina Stables H., 3d WRC Dunstan Stayers Qualifier. Magic Moment - Inventor (H.K.) (Don Eduardo). 6 wins at 1200m, 1650m, NZ$14,475, HK$3,867,525, to 2017-18, HKJC San Antonio H., Mut Wah H., Kwun Tong H., Manawatu RC Challenge H., Kam Tin River H., 2d HKJC Fakei Cup, 3d Taranaki 2YO Classic, Gr.3, HKJC Sutherland H.
Princess Rihanna (Showcasing). 2 wins-1 at 2-at 1000m, 1400m, NZ$95,150, to 2017-18, ARC Dunstan Feeds Qualifier, Levin RC Courtesy Ford 2YO S., 3d Hawkes Bay Gold Trail S., Gr.3, 4th ARC Diamond S., Gr.1, Matamata Breeders' S., Gr.2, ARC Eclipse S., Gr.3, Karaka Million, RL. Gold Tartini. 4 wins from 1600m to 2000m, HK$2,267,250, HKJC Cheung Cup, Citigold Private Client H., Yue Yee H., Lucky Owners H., 2d HKJC Shui Pin Wai H., HKU Space H., Caine H., Wang Tak H., 3d HKJC Sha Tin Heights H., Lion Herald H., HKU Faculty of Arts H.
Key Whiz. Winner at 2000m, 3d Waikato RC PGG Wrightson H.
Strawberry Affair. 2 wins. See above. Jet Setter - Wiser (H.K.). 3 wins at 1400m, 1600m in NZ, 2d HKJC Des Voeux H., King Kwong H.
Keynassue. 2 wins at 1200m, 2100m, 3d ARC Grocery Charity Trust H., Lindauer H.
Trellis (Quadratic). 6 wins-1 at 2, 3d Beulah Park John W Phillips S., L.
TRUE COLORS (Hoist the Flag). 6 wins, Arlington Park Round Table H., Gr.3, Delaware Park Leonard Richards S., Gr.3, Aqueduct Fort Marcy H., L, Belmont Sword Dancer H., L, 2d Belmont Edgemere H., Gr.3, Laurel Japan Racing Association H., L. Sire. HIGH BRITE (Best Turn). 15 wins-2 at 2, US$1,150,519, Belmont True North H., Gr.2, Aqueduct Sport Page H., Gr.3, 2d Aqueduct Bay Shore S., Gr.2, Belmont Withers S., Gr.2, 3d Belmont Vosburgh H., Gr.1, Fall Highweight H., Gr.2, Boojum H., Gr.2, Saratoga Forego H., Gr.2. Sire. POLISH SPRAY (Polish Numbers). 14 wins-1 at 2-from 5f to 8¼f, US$204,642, Philadelphia Park Iroquois H., L, 4th Philadelphia Park Lyman H., L. Sire. FRIEDHELMO (Dashing Blade). 7 wins from 1600m to 3400m in GB and Germany, Hoppegarten Fruhjahrszuchtpreis der Dreijahrigen, L, 3d Preis der Hotellerie Baden-Baden, L.
FEODORA (Lord of England). Winner at 2200m, €361,540 in Germany, Düsseldorf Preis der Diana, Gr.1, 2d Baden-Baden Preis der Winterkönigin, Gr.3, Cologne Winterkonigin Trial, L, 4th Munich Grosser Preis von Bayern, Gr.1, Saint-Cloud Prix Corrida, Gr.2. FORTHE MILLIONKISS (Dashing Blade). 7 wins-1 at 2-from 1500m to 2000m, £2,690, €209,368 in France and Germany, Grosser Preis der Sparkasse Hannover, Gr.2, Longchamp Prix du Ranelagh, L, Nantes Grand Prix Anjou-Bretagne, L, 2d Frankfurt Grosse Hessen Meile, Gr.3, Nantes Grand Prix Anjou Bretagne, L, Saint-Cloud Prix du Ranelagh, L, 3d Cologne Grosse Europa Meile, Gr.2, Dortmund Grosser Preis der Wirtschaft, Gr.3. FOREVER FREE (Platini). 6 wins-1 at 2-from 1300m to 3200m in Ireland and Germany, Baden-Baden Preis von Schlenderhan, L, 4th Hamburg Deutscher Herold Preis, Gr.3. OVER TO YOU (Buckpasser). 2 wins at 2, Sandown Solario S., L.
Cabin (Bagdad). 6 wins, 2d Golden Gate Berkeley H., L, 3d Santa Anita H., Gr.1, Hollywood Park Caballero H., L. Sire. Forefather (Forli). 2 wins in Ireland and U.S.A, 2d Phoenix Park Whitehall S., Gr.3. Sire. VAGUELY FAMILIAR (Vaguely Noble). 3 wins at 2, Churchill Downs Pocahontas S., L, 2d Arlington-Washington Lassie S., Gr.3. Producer. B. J. 'S MARK (Sheikh Albadou). 7 wins from 5½f to 1m, Evangeline Mile H., L, Lone Star Park Arlington Downs H., L. Sire. CRUZAN GOLD (General Assembly). 5 wins in Peru, Monterrico Clasico Organizacion Sudamericana de Fomento, Gr.1, Clasico Ernesto Ayulo Pardo, Gr.2, Clasico Rio Pallanga, L, Clasico Jose Rodriguez Razzeto, L, 2d Clasico Polla de Potrillos, Gr.1, Monterrico Clasico Ricardo Ortiz de Zevallos, Gr.1, Clasico La Copa, Gr.2, 3d Monterrico Clasico Ciudad de Lima, Gr.2, Clasico Enrique Meiggs, Gr.3-twice. EDIL TOM (Shy Tom). 5 wins-1 at 2-at 1400m, 1600m, R229,650, Newmarket Tony Ruffel S., L.
DUVETS (Mutakddim). 6 wins at 1400m, 1600m in Argentina, San Isidro Clasico Ecuador, Gr.2, Clasico Porteño, Gr.3, Handicap Alan Breck, 2d San Isidro G.P. San Isidro, Gr.1, 3d San Isidro G.P. Joaquin S de Anchorena, Gr.1, 4th San Isidro Clasico America, Gr.2. Sire. SHY LEGIONARIO - GREAT LEADER (H.K.) (Mutakddim). 3 wins at 1400m, 1600m in Argentina, Palermo Clasico Benito Villanueva, Gr.2, 2d Palermo G.P. de las Americas OSAF, Gr.1. ROSAMBO (Sagaro). 8 wins, Auteuil Prix La Caze S/chase, L, 2d Auteuil Prix Gerald de Rochefort Hurdle, L.
MY GALLANT DUCHESS (My Gallant). 8 wins, Sportsmans Lady Hallie H., L, 2d Sportsmans Sixty Sails H., Gr.3. Producer. DETENER (Dynaformer). 12 wins from 1m to 9f, US$214,927, Rockingham Lou Smith Memorial H., L, 4th Prairie Meadows Precisionist H., L.
MISWAKI (Mr. Prospector). 6 wins-2 at 2-from 1000m to 1600m, Longchamp Prix de la Salamandre, Gr.1, Belmont Charles Hatton S., L, Deauville Prix Yacowlef, L, 2d Deauville Prix Morny, Gr.1, Belmont Fall Highweight H., Gr.2, 3d Newmarket Dewhurst S., Gr.1. Champion sire. ETERNITY STAR (Majestic Light). 4 wins-1 at 2-from 1200m to 1800m, US$327,500, Hollywood Derby, Gr.1, Del Mar Derby, Gr.2, Longchamp Prix de Pontarme, L, Saint-Cloud Prix de la Saone, 2d Longchamp Prix La Rochette, Gr.3, 3d Santa Anita Volante H., Gr.3, Palermo Handicap Haras Argentinos, L, 4th Hollywood Turf Cup, Gr.1, Saint-Cloud Prix Eclipse, Gr.3. MOQUETTE (Maria's Mon). Winner at 2, Nantes Prix des Sablonnets, L, 2d Saint-Cloud Prix Tenebreuse. Producer. COTAI GLORY (Exceed and Excel). 4 wins-2 at 2-to 5¼f, £280,563, €6,000, US$40,105, Goodwood Molecomb S., Gr.3, 2d Royal Ascot King's Stand S., Gr.1, Woodbine Nearctic S., Gr.2, 3d York Nunthorpe S., Gr.1. PERMISSION (Authorized). 2 wins at 1m, 1¼m to 2017, Newmarket James Seymour S., L, 2d Newmarket Rosemary S., L.
ETERNITY RANGE (Majestic Light). 5 wins-1 at 2-from 1600m to 2000m, Santa Anita Big Shot S., L, 3d Longchamp Grand Criterium, Gr.1. Sire. APOLLO CAT (Storm Cat). 4 wins-2 at 2-to 6f, Monmouth Colleen S., L, 2d Aqueduct Cicada S., Gr.3. Producer. JUMP START (A.P. Indy). 2 wins at 2, US$221,265, Saratoga Special S., Gr.2, 2d Belmont Champagne S., Gr.1. Sire. MASTERY (Candy Ride). 4 wins-3 at 2-from 6f to 8½f, US$511,200, to 2017, Los Alamitos Futurity, Gr.1, Santa Anita San Felipe S., Gr.2, Del Mar Bob Hope S., Gr.3. CLEAR SAILING (Empire Maker). 4 wins from 6f to 8½f, Fair Grounds Pelleteri S., L, 2d Evangeline Downs Matron S., L. Producer. LA MACCHINA (Malibu Moon). 3 wins at 1m, 8½f, Oaklawn Park Essex H., L.
OTAVALO (Diesis). 5 wins-1 at 2-at 1300m, 1600m, Maisons-Laffitte Prix de Saint-Patrick, L, 3d Santa Anita El Rincon H., Gr.2. MEISHO ODO (Sunday Silence). 6 wins-1 at 2-from 1200m to 2200m, 216,133,000¥, Hanshin Sankei Osaka Hai, L, Naruo Kinen, L. Sire. TAMANNA (Trempolino). 2 wins in Germany, Düsseldorfer BMW Preis, L. Producer. KANE ORE - MOTAFAWEQAH (Sau.) (Green Desert). 3 wins-2 at 2-to 1450m, La Teste Criterium du Bequet, L, Saint-Cloud Prix de la Cochere, L. Producer. FORT CHAFFEE (Mr. Prospector). 7 wins-1 at 2, US$216,462, Ellis Park Governor's H., L, 2d Santa Anita Bolsa Chica S., L. Sire.